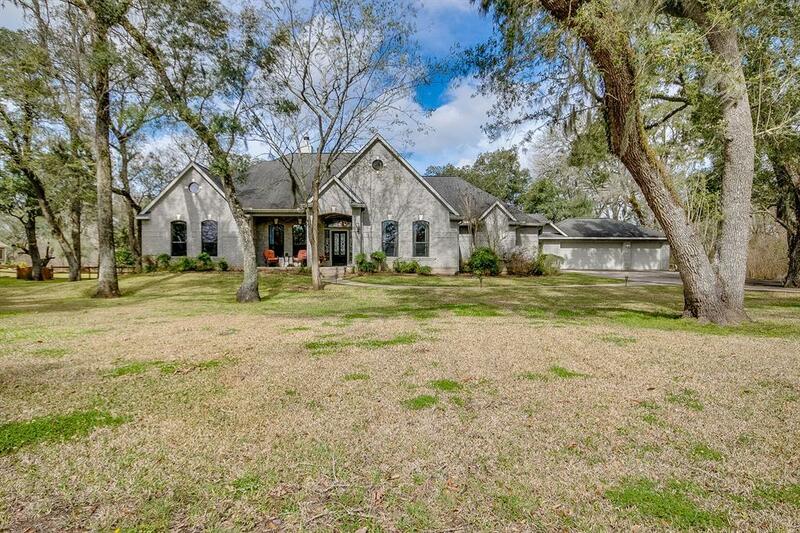 Experience country living with the conveniences of city life! 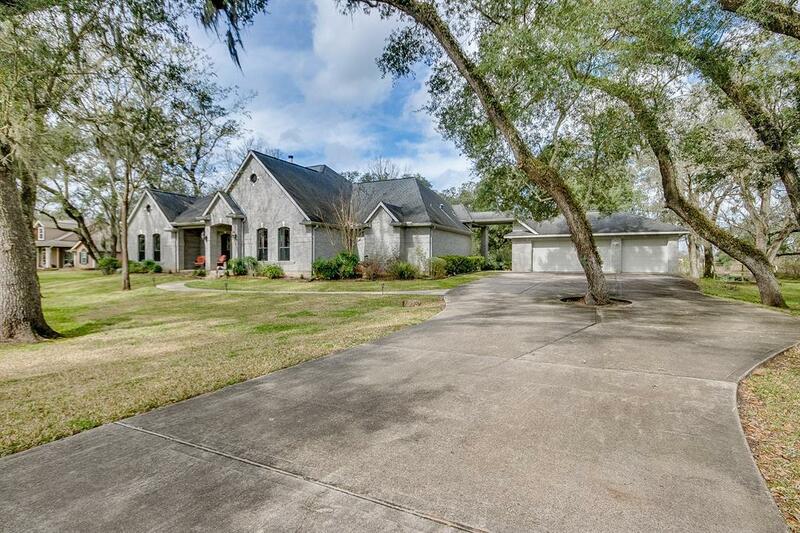 This gorgeous single story custom home with high ceilings & 36" wide doors throughout is situated on a 2 acre lot surrounded by sprawling century old oak trees! 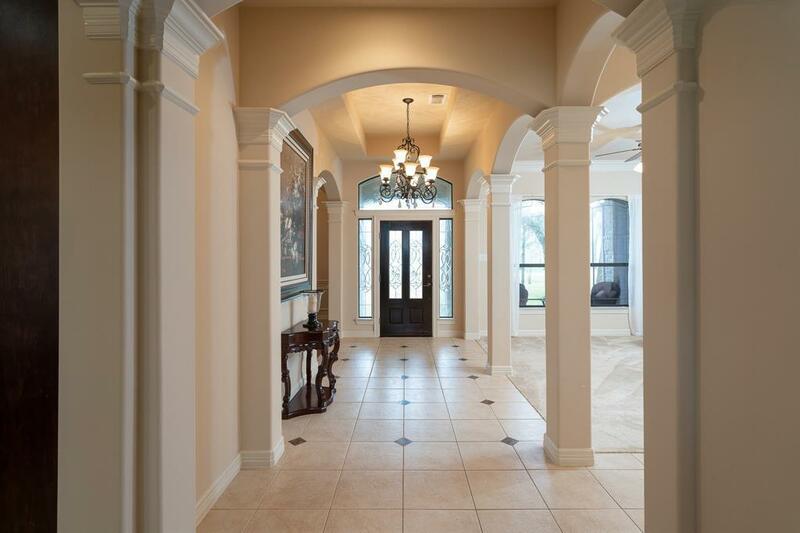 Step into a grand entry with beautiful chandelier, gracefully arched entrances to the formal dining & living rooms, a secluded media room with removable risers, mud room with half bath, and a family room featuring a cast stone fireplace & wall of windows for abundant natural light with stunning backyard & wildlife views. The oversized island kitchen showcases custom cabinetry, granite counters, stainless appliances including a gas cooktop & double ovens, and a breakfast area surrounded by a rotunda of windows. A spacious master suite boasts a jetted tub, divided his & her sides with separate lavatories, sinks, and closets, and an oversized shared shower. 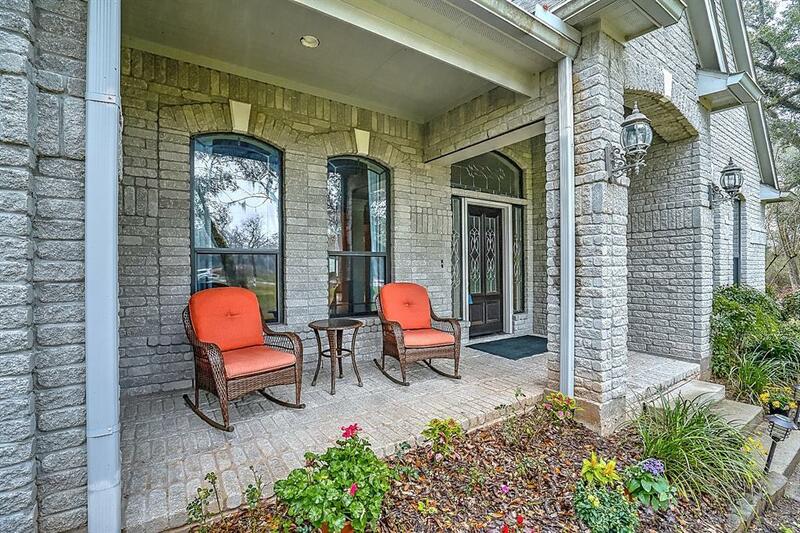 Step out to the covered back patio overlooking a park-like setting with underground propane tank and much more!